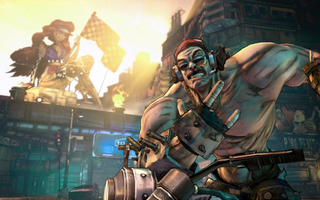 Gearbox, or rather Borderlands 2's DLC character Gaige, today announced the next chunk of campaign DLC. Gaige's Twitter account teased the news this afternoon, under the guise of a hacker named Torgue taking over her account. Here's a picture of Torgue. This is the second campaign DLC to release, following Captain Scarlett and Her Pirate's Booty that released last month.